Hemp based CBD oil has the potential to change the way we look at preventing and treating disease. So much of my goal in treating horses is to bring their mind, body and emotions into balance. Little did I know, until recently, that the body has a system to help do this – The Endocannabinoid System(ECS). Discovered in the 1990’s by Israeli researcher Dr. Raphael Mechoulam, the Endocannabinoid System is a biological system that exists in all mammals as well as other types of animals. Cannabidiol(CBD) is a natural, non-psychoactive constituent of Hemp(Cannabis Sativa). CBD oil has been found to be effective for the nerves, provide pain relief, decrease inflammation, vastly improved sleep, mood balance, lower the severity of seizures, help control anxiety, and promote healthy immunity. Cannabidiol(CBD) is a completely different from Tetrahydrocannabinol(THC), the chemical that is contained in larger amounts in Marijuana(Cannabis Indica). The hemp plant does contain a tiny amount of THC, but not enough to get high. Modern extraction methods allow formulas to have virtually no THC. The Endocannabinoid System(ECS) is a set of receptors that is involved with homeostasis in the body. The body is able to make its own chemicals to activate the ECS. For example, researchers have found that exercise increases the sensitivity of cannabinoid receptors in the part of the brain that activates pleasure. The “runner’s high” that used to be solely attributed to the release of endorphins is actually linked to the ECS. The more we exercise the more the ECS is stimulated to release hormones that create a sense of bliss. Hemp based CBD oil is a safe way to activate this system with no concerns about side effects or addictions. How can CDB help a horse? How many times do we reach for non steroidal anti inflammatory drugs like Bute or Equiox to make our horses more comfortable after hard work or to relieve the pain of chronic arthritis? Every time we use these drugs we face the possible side effects of stomach ulcers or kidney damage. Same with steroid injections into sore joints. CBD oil can help these horses without side effects. What about the mare that has sore ovaries during her heat cycle? Progesterone supplements shut down the normal reproductive cycle and can make the mare depressed. CDB oil can help a mare be more comfortable during her heat cycle without shutting down her normal hormonal rhythm. I think CBD oil has great potential to help metabolic horses along with diet and exercise programs. My Insulin Resistant gelding loves it. Anything we can do to help these horses feel better is likely to get them moving more and this helps control their weight. The young horse in training may get a little sore in the stifles from lack of muscle development. Do we really want to give non steroidal anti inflammatory drugs to a horse already under stress from training? Now we don’t have to give drugs that have side effects. We can save these drugs for serious injuries or illness. We can give CDB oil for mild inflammation and trust we are not causing other problems. How is CBD oil absorbed? The short answer is that CBD oil is not very well absorbed in the digestive tract. The larger fat molecules do not easily pass through the digestive lining. This is why results of giving CBD oils can be disappointing even when very high quality hemp is used to prepare them. The good news is an amazing technology is making CBD oil more available. It is called nanotechnology. Nanotechnology has made it possible for CBD oil to be transformed into tiny particles that are absorbed directly through the mucous membranes in the mouth. The CBD oil I use is produced using this technology. As great as CBD oil is, it can’t take the place of good management. Horses need a clean, low sugar feed and plenty of high quality hay. Horses do best with a natural environment that includes pasture and time to spend with other horses. Horses in hard work need joint support in addition to good foundational nutrition. The training program needs to be suited to the age and ability of the horse. Temperament typing should be used to match the horse with the best job and person. Once all these parameters are in place and your horse needs that little bit of extra help to feel his best that is the time to add the CBD oil. CBD oil holds so much promise as a way to help our horses and ourselves feel better. It is natural and something our bodies recognize as good. The option now of having a pharmaceutical grade of CBD oil is a real breakthrough to using this product and changing lives. Ready to get make this the best year ever for you and your horse? Consider a nutritional consult with Dr. Ward. Or get help from one of our temperament consultants to discover your horse’s temperament type. You might even consider taking the online course and becoming a temperament consultant yourself. 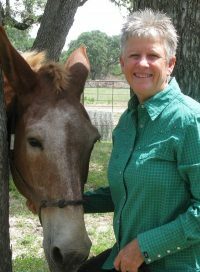 Then if you are ready to really get serious increasing your knowledge of holistic horse care, the Mentoring Program with one-on-one instruction with Dr. Ward may be just what you are looking for.